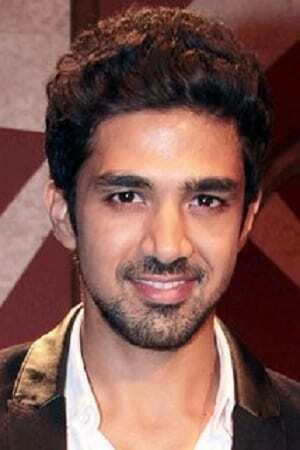 Saqib Saleem Qureshi (born 8 April 1988) is an Indian film actor and model who works in the Hindi film industry. He worked as a model before beginning his film career. After moving to Mumbai, Saleem appeared in several advertisements. While doing television commercials, he grew interest in films and started auditioning for film roles, eventually signing a two-film deal with the Y-Films, a subsidiary of the Yash Raj Films (YRF), as an actor.Saleem made his acting debut with a leading role in the 2011 romantic comedy Mujhse Fraaandship Karoge, a box-office success. He was appreciated for his performance and earned a nomination at the Filmfare Award in the Best Male Debut category. The following year, he completed his two-film contract with the Y-Films by appearing in Mere Dad Ki Maruti, a romantic comedy that proved to be a critical and commercial success. Subsequently, he played a supporting role in the experimental anthology Bombay Talkies (2013). While not a box-office success, the film garnered him positive response from critics. He received further praise for played the lead in the critically acclaimed passionate drama Hawaa Hawaai (2014).In addition to acting in films, Saleem is an active Charitable worker, has a number of endorsement deals, and a member of the "Mumbai Heroes" at the Celebrity Cricket League, a non-professional men's cricket league in India.